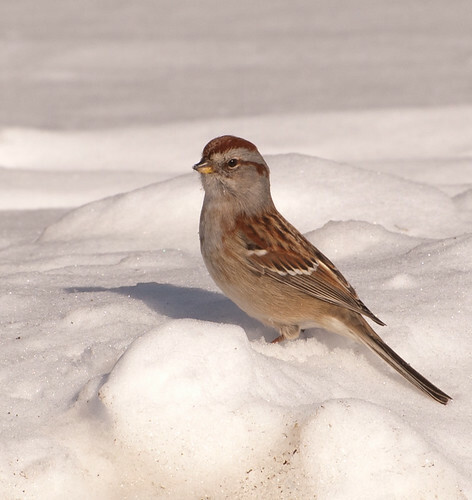 Sparrows are often referred to as “LBJs”, or Little Brown Jobs, among birders. Many species can be difficult to distinguish due to subtle differences in field marks and others due to their skulking behavior making getting a good look hard to come by. So, when a firm ID cannot be made, the “LBJ” column gets checked. The East Aurora Bird Club recently held a helpful workshop on identifying some of the more common species in our area. 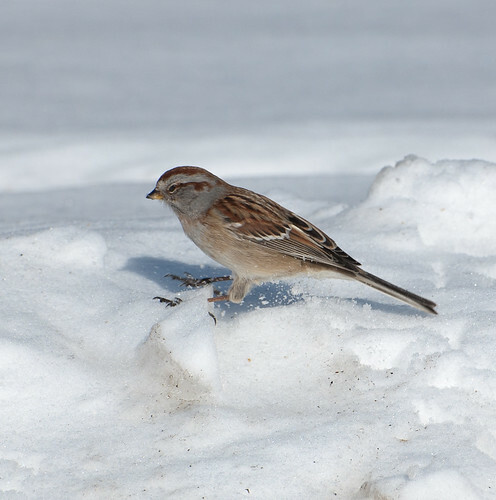 Shortly afterwards I came across this very photogenic American Tree Sparrow, which gave me a chance to try out my new found ID skills. 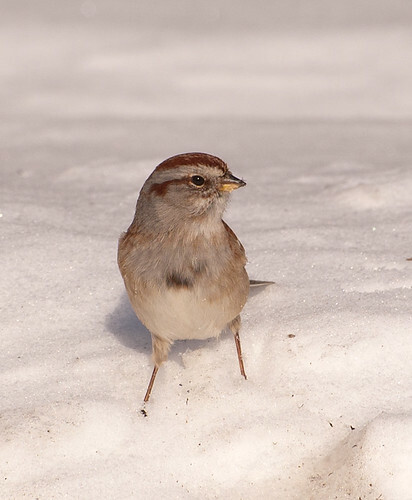 The rusty cap on the American Tree Sparrow is solid. 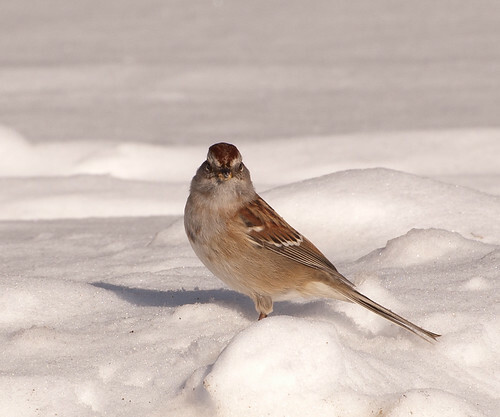 Some sparrows, like the field and song sparrows, have a light colored stripe on the top of the head. Another look at the solid rusty cap. This entry was posted on 7 February 2013 by patacoate. 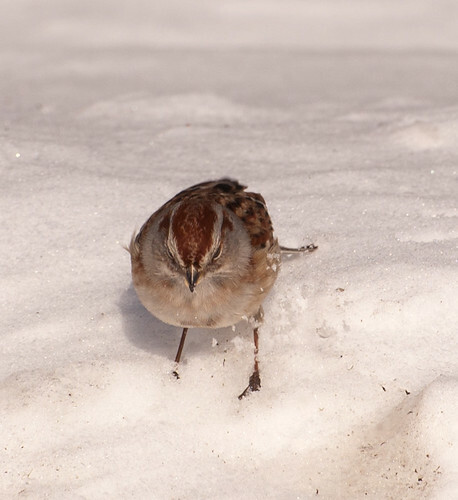 It was filed under iPhone and was tagged with American Tree Sparrow.